At ThinkerViews, we often talk about some remarkable commencement speeches and the lessons we got to learn from them. While this give us a chance to share our understanding of a nice speech with you all, it also give us a chance to hear from you and learning something new, which we might have missed. Commencement speaker that year at Tufts University for 2014 convocation ceremony, Anne-Marie Slaughter was born September 27, 1958. She is an international lawyer, foreign policy analyst, political scientist and public commentator.She have also served for U. S. States department. She is the former director of policy planning for the US State Department. She is also president and CEO of New America. Let us take a bird’s eye view to her long career in the field of eduction. she was the Dean of Princeton University’s Woodrow Wilson School of Public and International Affairs. During her academic career, she has taught at the University of Chicago and Harvard University as well. And she was associated with a few more educational institutions also. These facts are enough to know her calibre and wisdom she could have possessed during this long career right? To know more about her, you may like to visit her Wikipedia page. She delivered a short commencement speech which was focused on importance of emotional quotient while moving ahead in professional life. She have delivered this speech at University of Utah on May 5, 2016. There are three major lessons we learn from her commencement speech. Actually one should learn by experience that ultimately we cannot live alone. And when we need to concentrate lot on the career in order to earn livelihood and provide security to our family, we need to make sure that we don’t lose our human attributes. There are many ways to make money and some are cruel. And, we must avoid those ways for sure. Anne tells something very intelligent, that in career we usually invest in ourselves, while when we care for the people, the society, the humanity; we invest in others. One must remember that the time moves like a wheel, if it goes up then it will come down also. So one doesn’t know that when he/she is at the receiving point of “care” rather than giving. So even if we thing selfishly then also “care” is a good investment. Being an animal with brain and heart both, we humans, need to accomplish emotional achievements also. We know the joy of giving. We understand the great feeling of helping someone. It gives us satisfaction and joy which cannot be expressed using words only. So, it is the first lessons to learn. 2. Heart is as important as Head. Quite similar to the first point, this point shows importance of heart along with the head. We need to use our brain a lot, and need to take intelligent and wise decisions throughout life. But that doesn’t mean that we should always think about material gain and do the things which are “beneficial” only. 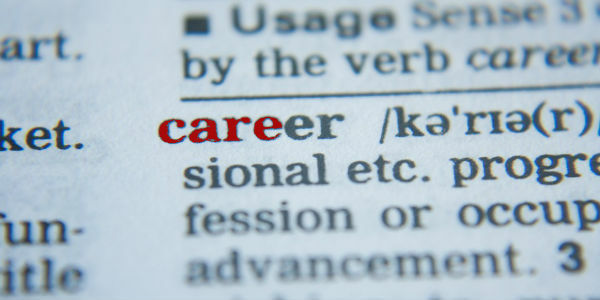 When we thrive for the career, we have to keep reality check of emotional quotient also. Most of education focuses on economy. And in terms of economy we usually talk about industrial (or wealth oriented economy). But we also need to understand that this is the knowledge era. And as machines are getting more and more powerful, we need to understand the difference between a machine and a human. Due to the rise of the robotics and research in the field of Artificial Intelligence, we are having better robots available these days (both as prototypes and working models). And they are going to be better. But can they take place of a human fellow in a true meaning. Having a robo-companion cannot fill the place of a spouse. A cooking machine cannot add the love and affection of a mother in the food. So keep your heart at the right place, and use it properly where required. Often, decisions taken through the heart are beneficial and satisfactory both. And yes, we need to work in a team when dealing with important and major task. And the team have to work as a unit. If there is no bond between the team members, they cannot put their heart in the task. And ultimately the work would either be under-performed or would be a complete failure. Fame brings in false friends and relatives too (in addition to some genuine and real friends and relations). Family is the one which remains with you, though your journey. Family doesn’t mean only blood relations. It includes friends, loved ones and those who care for us. 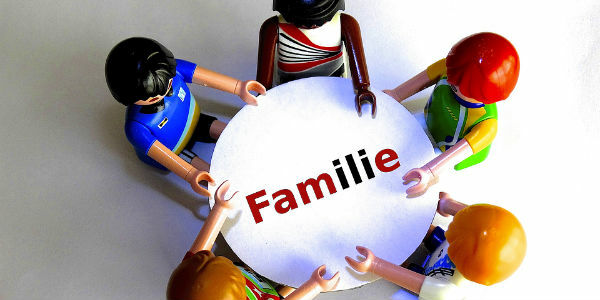 The family is equally important. 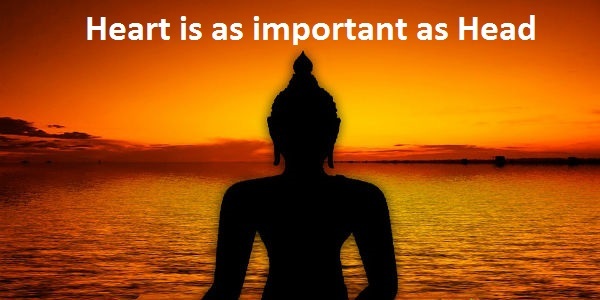 Rather it is more important than anything else. Because when there will be tough times, possibly everyone will try to run away. But the family remains with us rock solid. It gives us all the support, motivation and courage we need to convert it into good times. She also talks about the men who takes decisions to give more time to family. There are parents who rather like to spend time and invest emotions and resources in the growth of their children rather than the company, considering it better thing. And yes, it is. But at the same time, when a person stopped bringing money in the home; his weightage is affected. The respect he used to earn getting degraded. Even the questions about his manhood are started asking. This is pretty wrong. If a man decides to support his family emotionally and rather giving it more time, it is a good time. Actually, it is not necessary for a man to be at work always. One, however need to implement his/her own wisdom here. It is great if you can balance these things. We should stop judging what others are doing and why. Rather focus on the priority of our own and act accordingly. Again remember take intelligent decisions wisely 🙂 . We would like to re-iterate the fact that, these views are our understanding of the fantastic speech given by Anne-Marie Slaughter. Let us know if you thing if we have missed something, which you found interesting in the speech. Next: How To Take Screenshot of Entire Page from Firefox?